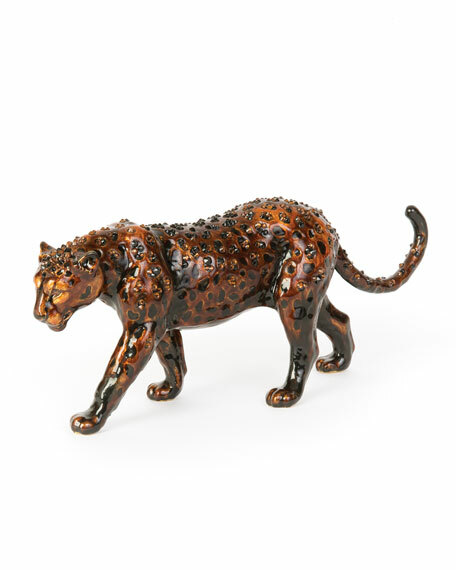 Beautifully designed panther figurine for our exclusive Jungle Collection, hand-painted enamel and set with Swarovski® crystals. Crafted of metal, enamel and Swarovski® crystals. 9.5"W x 2.6"D x 3.8"T.